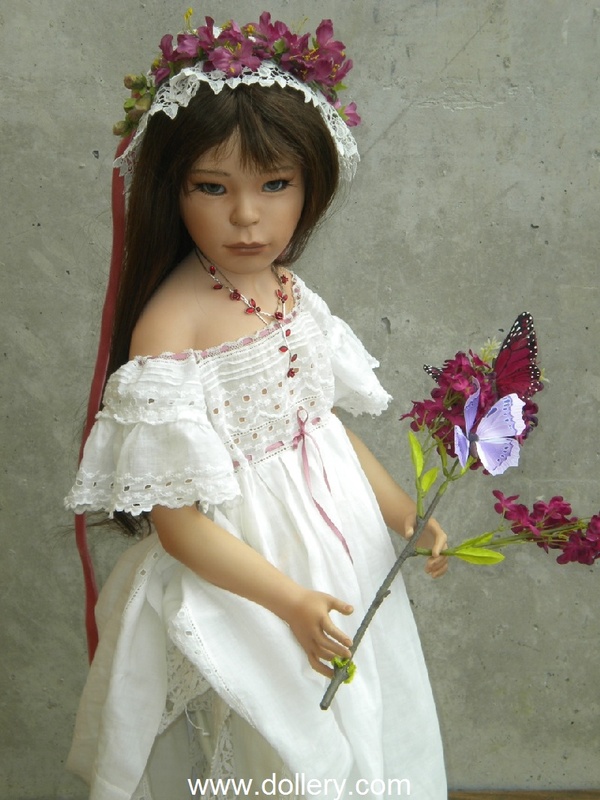 2016- Maja hasn't introduced many new dolls in recent years; however, if you are interested in her work - CONTACT KMALONE@DOLLERY.COM TO SEND YOU INFO ON NEW AVAILABLE WORK. 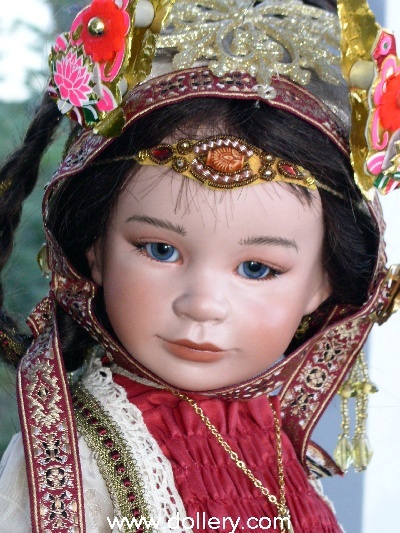 Love a doll that is sold? Contact us! 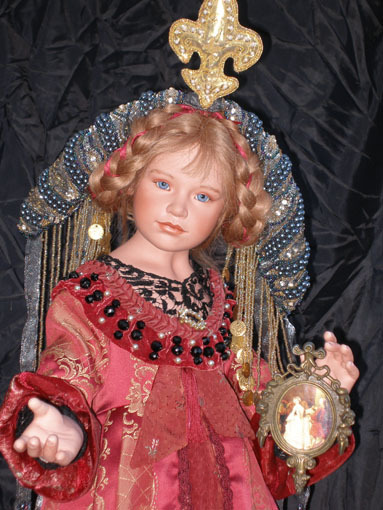 We take custom orders for certain sculpts in one of a kind clothing. 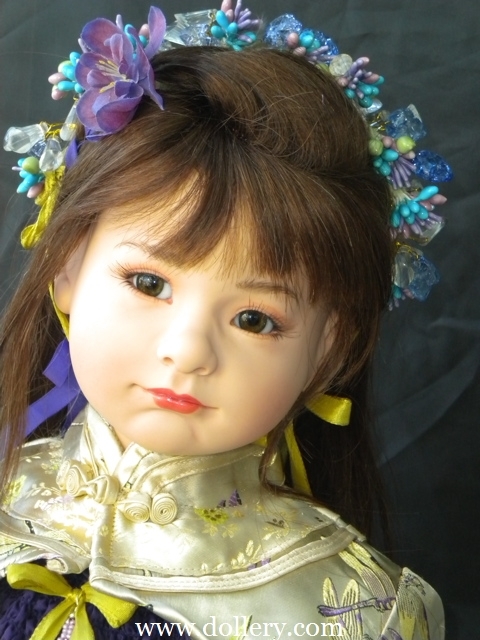 You can request hair and eye color along w/color of costuming and general "feel" you would like the doll to have. 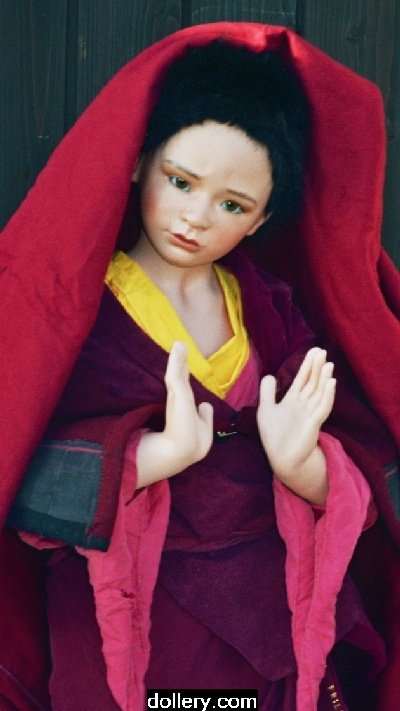 Keep in mind that for instance on an edition like "Dechen" we had three in red but they were all unique in their own right and often, she doesn't like to do more then three or so of the same face in the same costume design and or color. Contact kmalone@dollery.com for more info. Always click below to check to see if we have any available Maja Bill work on the 2nd mkt. 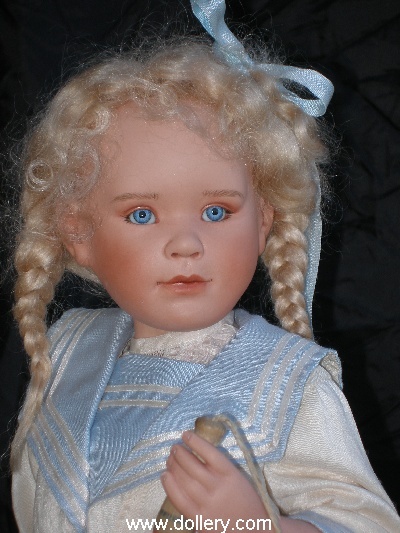 Let us know if you are looking for a specific doll and we can find it for you! Want to sell? Contact us! Email kmalone@dollery.com. 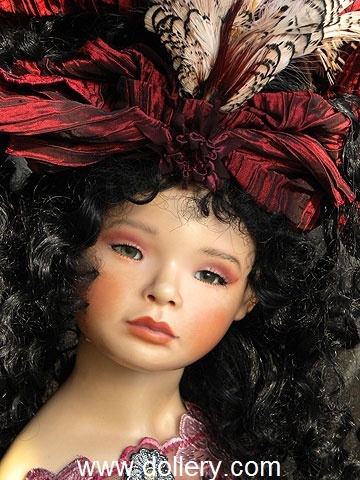 2011 -Maja introduced just a couple porcelain dolls at Idex and many more of her vinyl dolls in small editions of just 50 in one of a kind costumes. 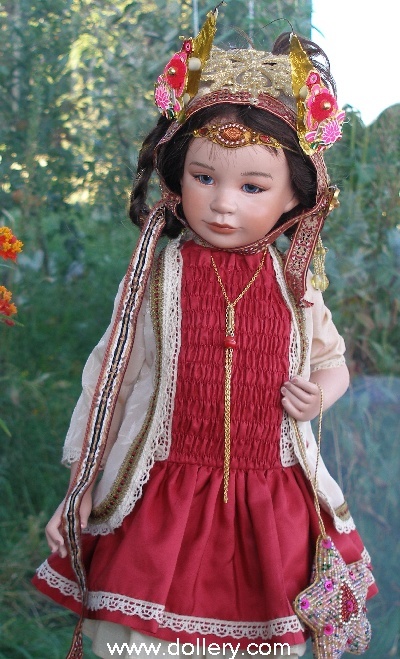 Just posted is "Nabari" dressed in a one of a kind costuming! 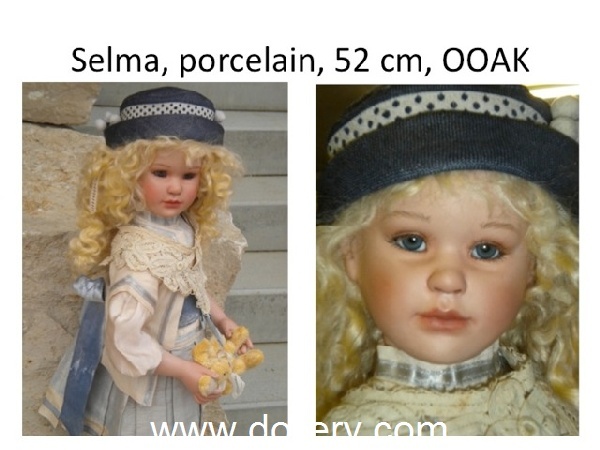 Be sure to take note that her porcelain dolls are becoming less available and the prices are increasing. 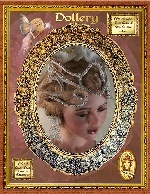 Be sure not to miss the beautiful double set we show below currently available as well as our new vinyl doll by her. 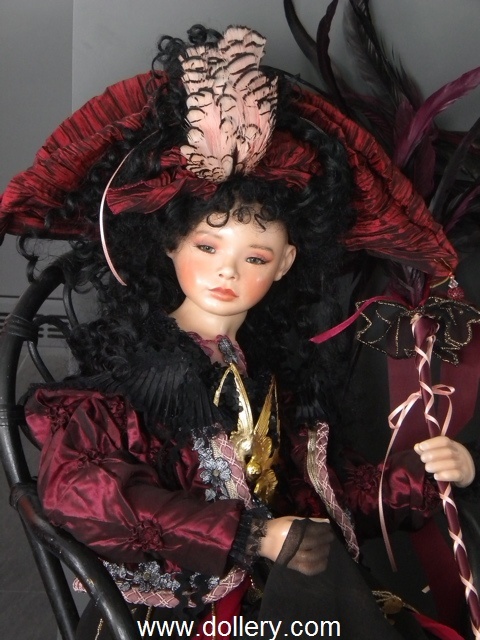 The prior year: Maja has been busy once again coming out with a great variety of her new limited edition porcelain dolls and she has also expanded into vinyl dolls (as of last year) which she is costuming in one of a kind costumes. 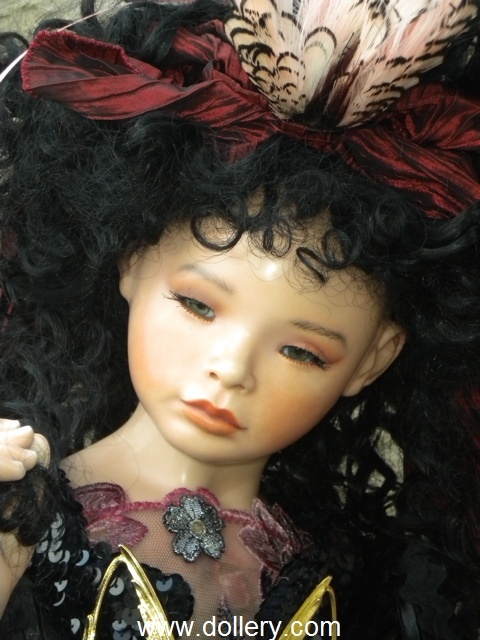 These are not one of a kind sculpts but they are costumed in one of a kind costuming and sell for $1,200.00. 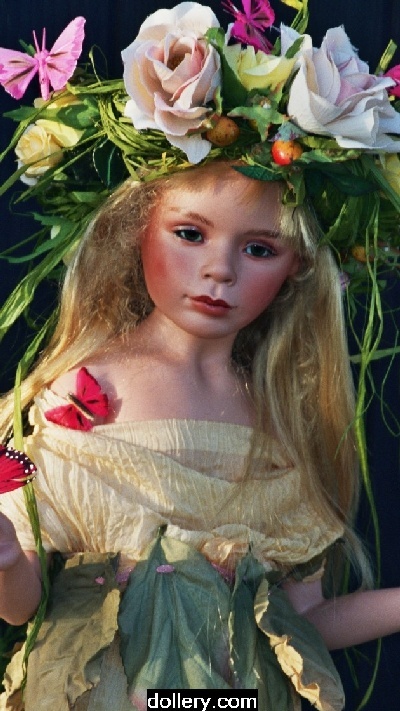 Maja has her vinyl dolls produced in Germany. 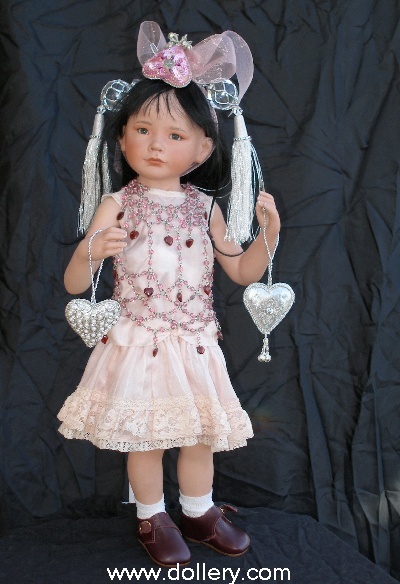 If you are interested in further information on her vinyl dolls be sure to contact kmalone@dollery.com. 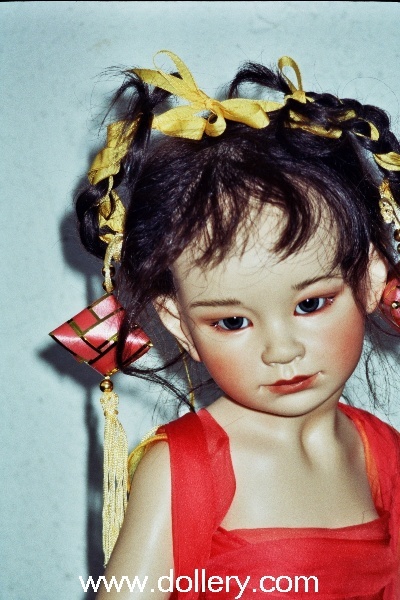 We are still in love with her amazing porcelain work. 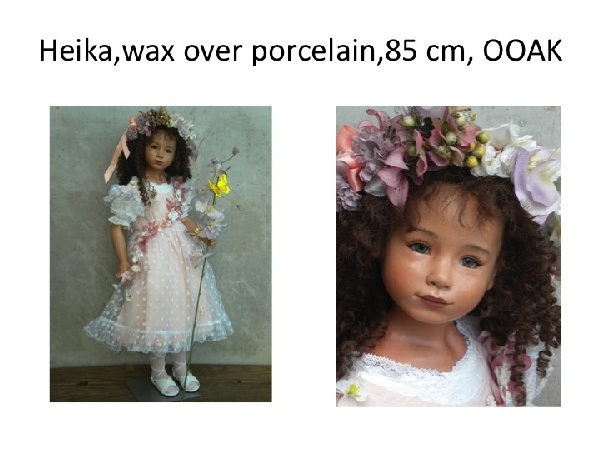 Maja works mainly on very small limited edition porcelains sculpts which are all dressed in similar one of a kind costuming. No two are ever exact as Maja loves to work on her dolls to make each special and unique. 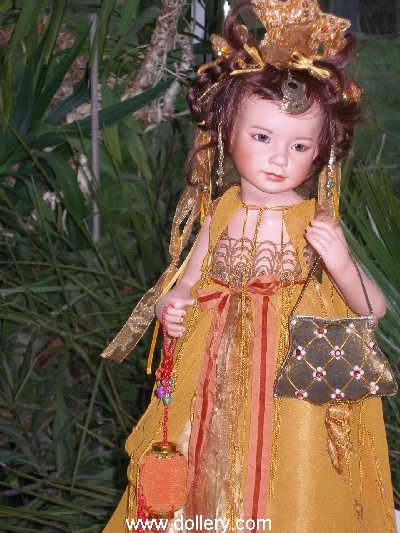 She prides herself in using special accessories and beautiful fabrics. 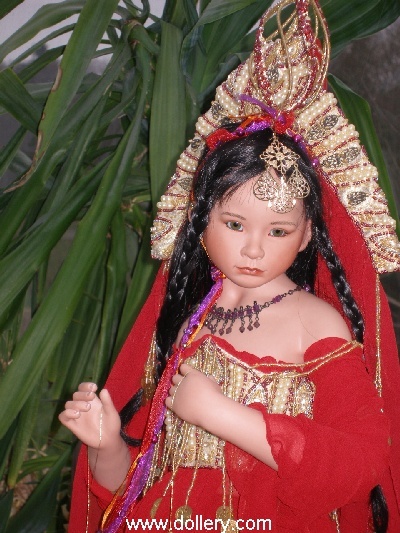 She also enjoys painting her dolls skin tones to match the costuming. 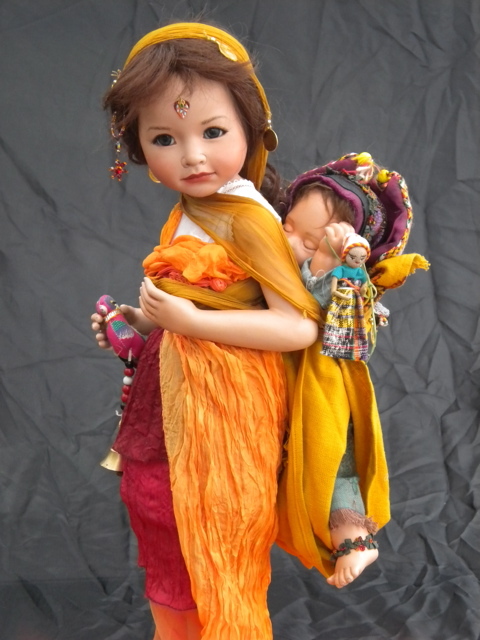 New for this year is her "Sandie" doll first introduced in 2007 (the sculpt), now done complete w/her adorable little baby. 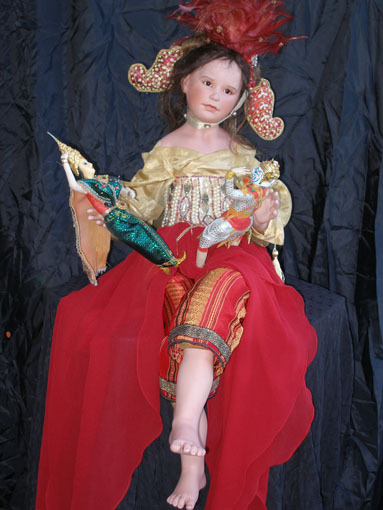 Maja also introduced a number of one of a kind versions of her prior year's sculpts. 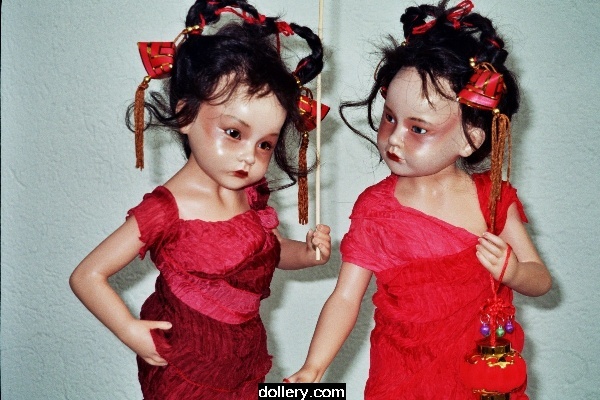 Feel free to contact kmalone@dollery.com for more photos and details. 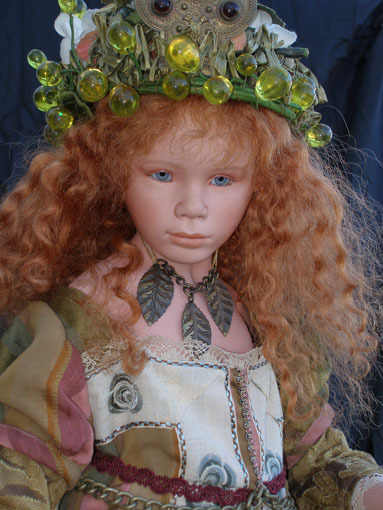 We are also planning on having Maja participate in our 2010 doll show with all new work so be sure to get on our mailing list for our Dollery show catalogue mailing in August and we will also notify you of any new work Maja has completed automatically. 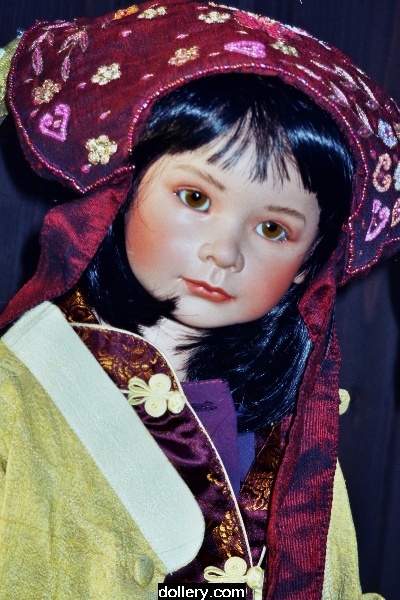 Since 2008 when the US dollar dropped you will see we have cut our margins a bit in order to offer you her dolls at reasonable prices. 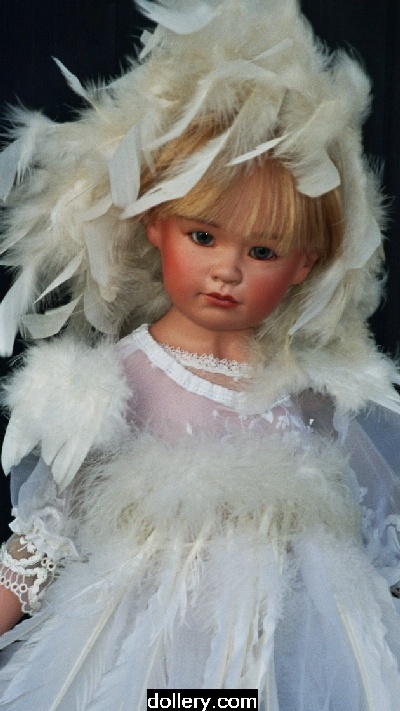 Be sure to take a look at the dolls currently now available and especially the couple we have from prior years for great great prices! 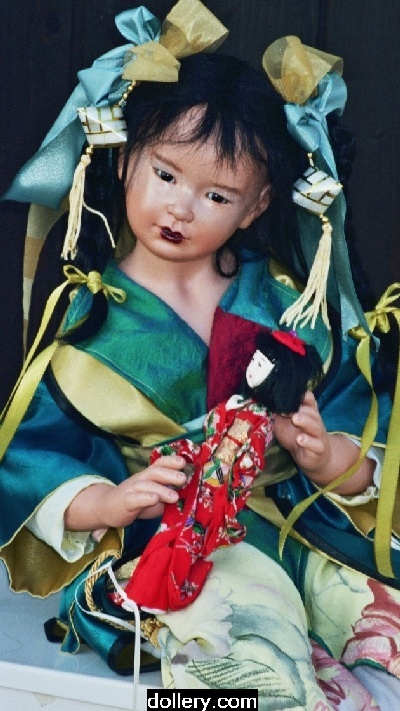 Dolls under 3K are now non-existent in this year's line but we have a couple! 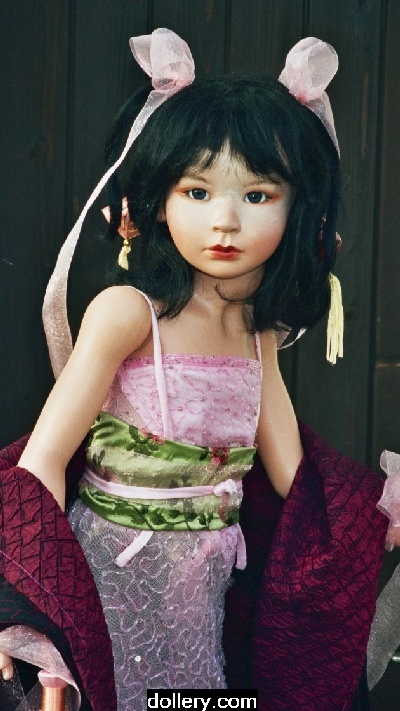 We are always taken by her Asian looking pieces but she continues to show a range of talent. 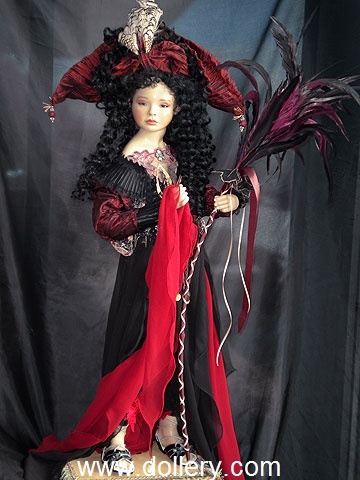 Maja's dolls are beautifully sculpted. 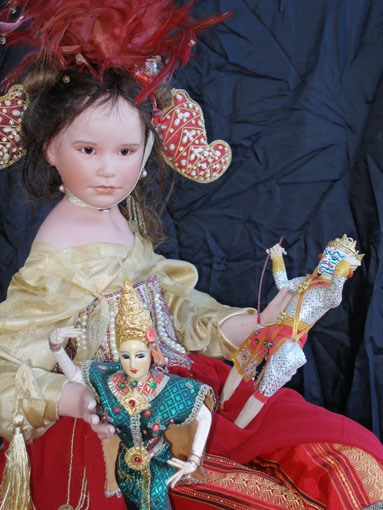 She is known for the elaborate costuming and bead work in her dolls. 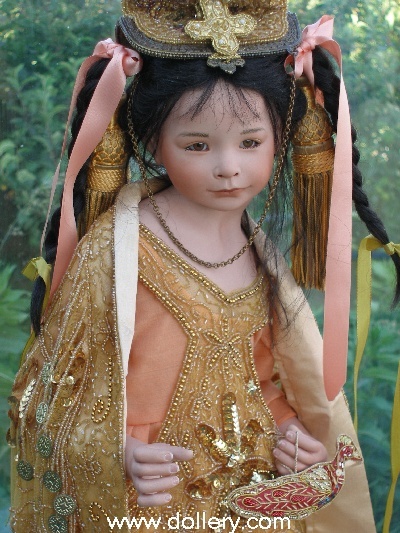 The unique thing about Maja's work is each doll although similar in costuming has it's own personality. 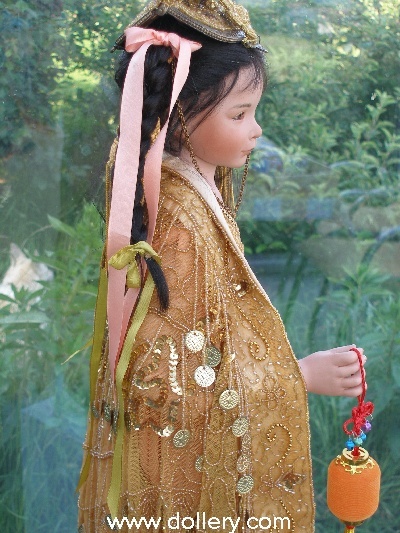 Each doll's fabric and beading is slightly different. Feel free to call 800-447-3655 ext 15 out of state or 781-447-6677 ext 15 in state Ma for further information. 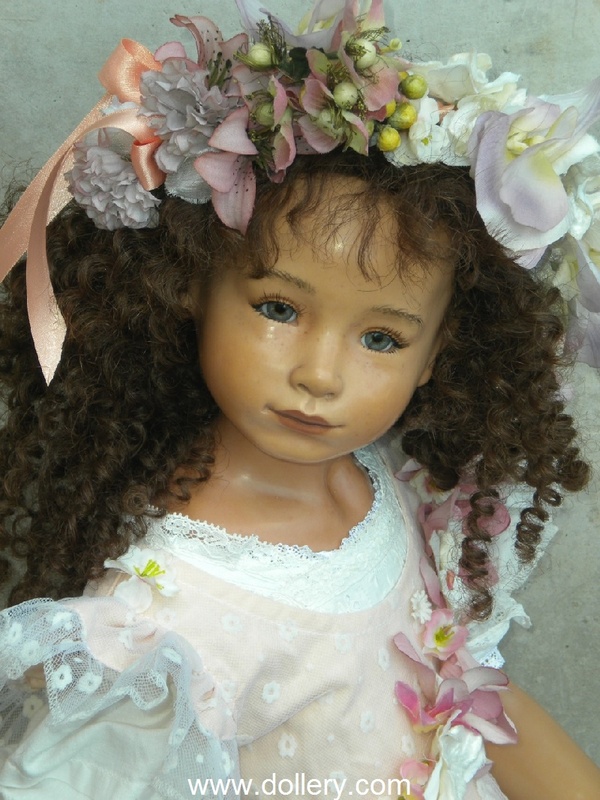 If you are interested in a doll it is 25% down to reserve the doll of your choice, balance due when in...or if you would like extended layaway we offer many different options. 1/K, 31" (78cm), Black hair, blue eyes. 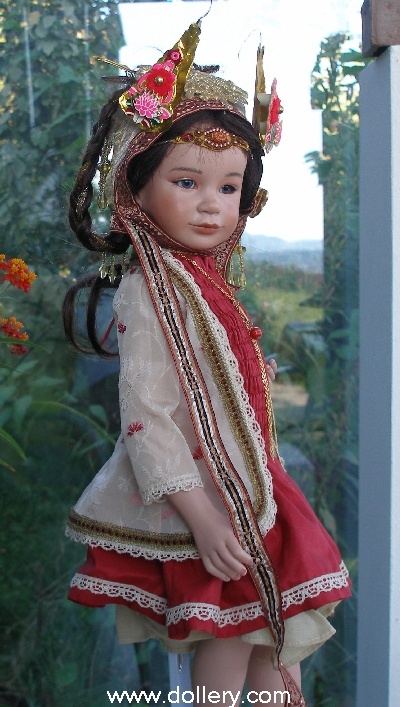 Nabari, 75cm (29.5") LE/50 of the head and here she is dressed in a one-of-a-kind outfit. 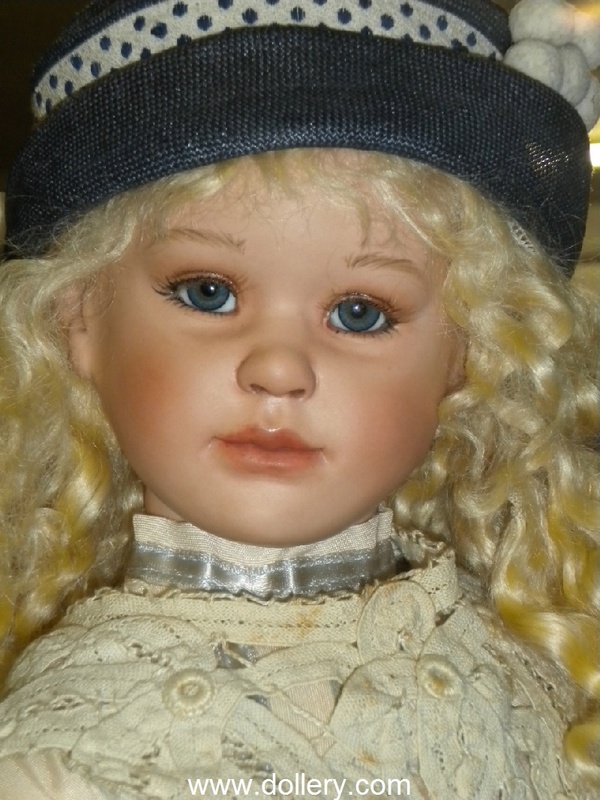 $1,500.00 SOLD The vinyl for this doll was produced in Germany. 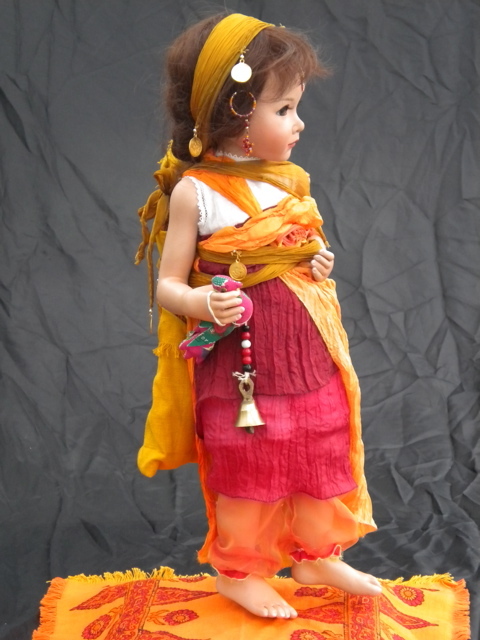 Maja designed, modeled, hand-painted and clothed Nabari herself making this doll quite special. 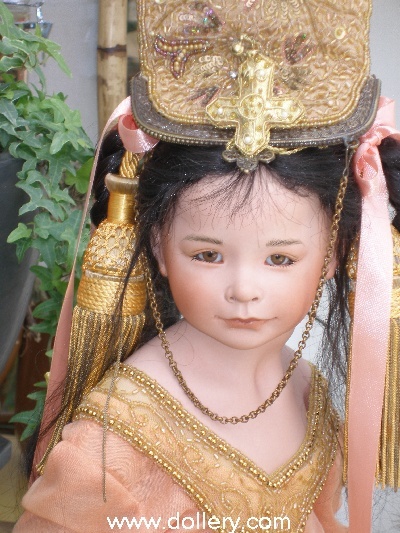 She has a six-way jointed vinyl body, human hair and captivating German glass eyes. 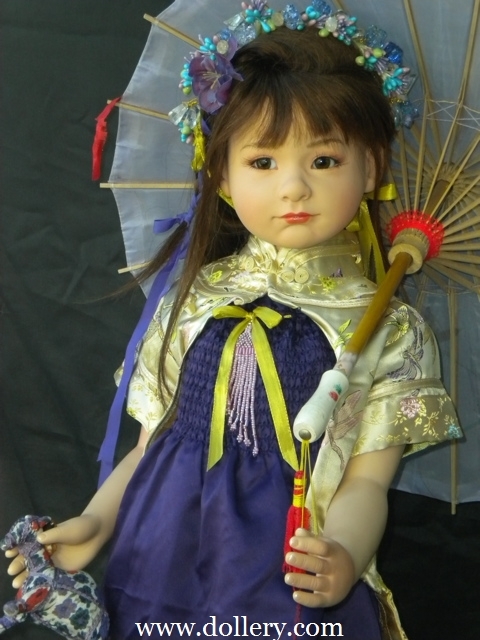 NEW FOR 2010 - *Note - there are other new 2010 dolls that are limited editions which have been done in one of a kind costuming. 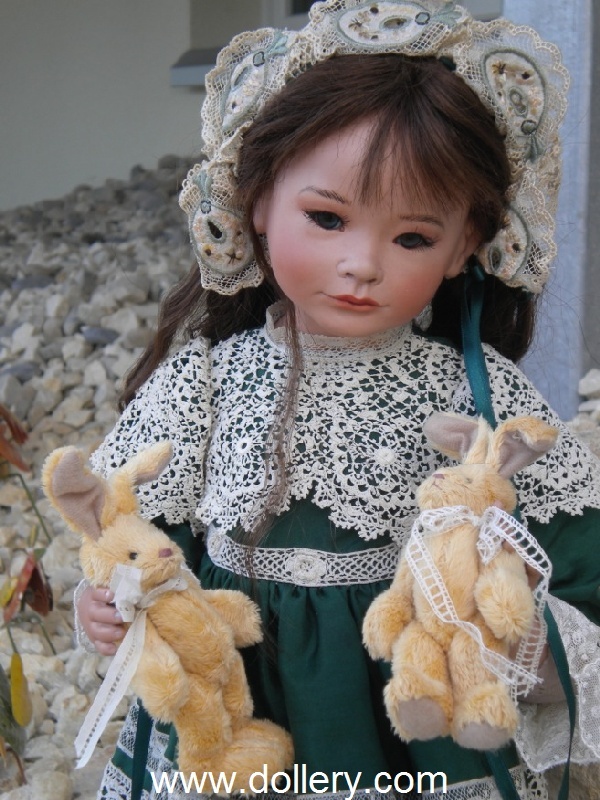 Out of respect for the companies that may have purchased these dolls we are not posting them on our site even though they are edition dolls (but w/ooak costuming they look so different they almost appear to be ooak's). 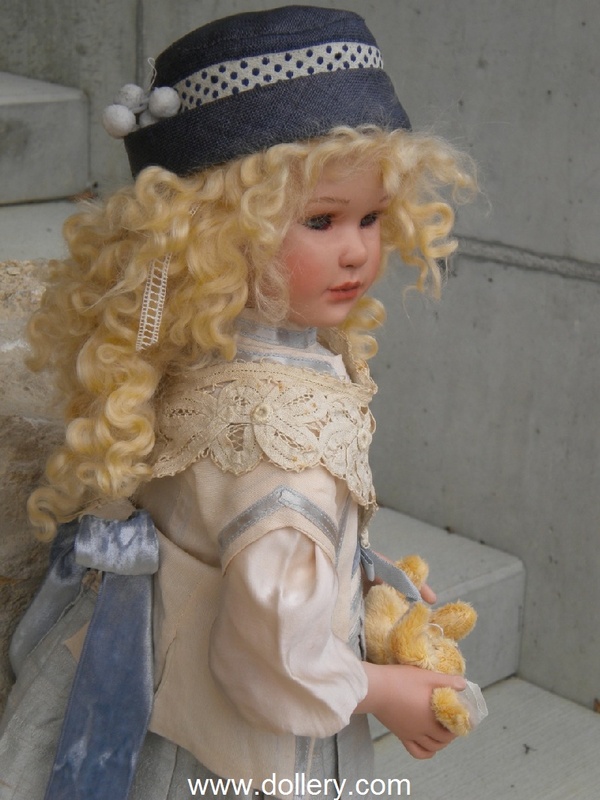 There are new porcelains that were NOT sold yet to other retailers and if you would like photos of that new work be sure to email kmalone@dollery.com. 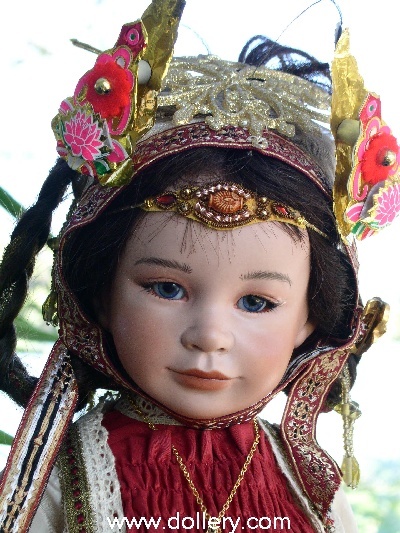 If you fall in love with a doll that is marked sold here remember you can always do a custom order for another one similar since they are edition dolls but each is painted as if it were a ooak doll to match the costuming. 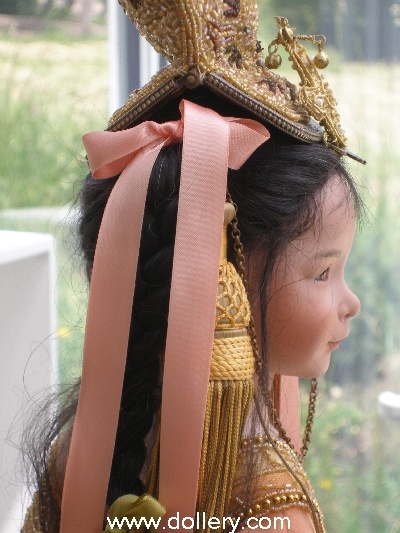 Also, you can request similar costuming and color but she wishes to have creative freedom with the piece which is really what makes them so special! 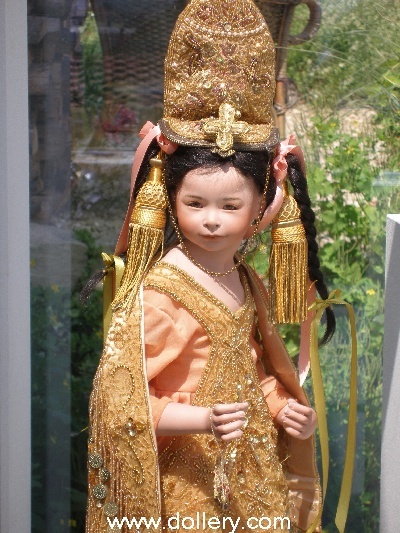 So, if interested... give us your ideas, we will "bounce" them off Maja and if she would enjoy doing the doll ...she will. 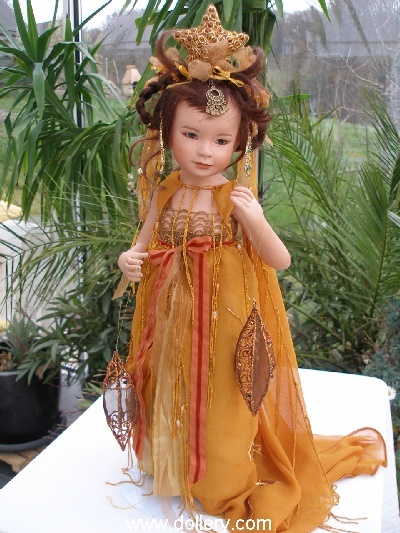 She has done many beautiful one of a kind versions of her limited edition dolls for us as well as true one of a kind sculpts. 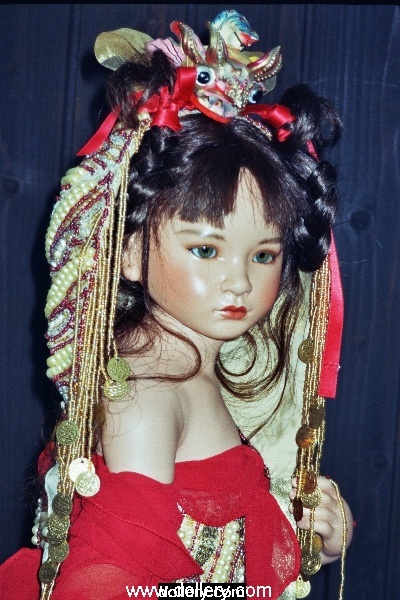 Also, Maja will also change the sculpt sometimes a bit even on her edition dolls. They really are works of art. 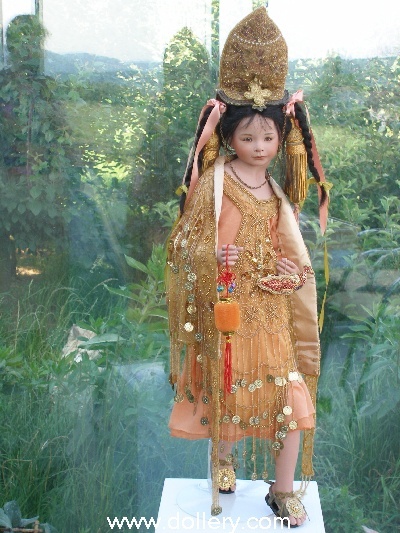 All dolls shown are porcelain with stuffed bodies and wire armature or full body porcelain. Maja uses three to four firings to get the color of her hand painted eyelashes , eyebrows and cheeks. 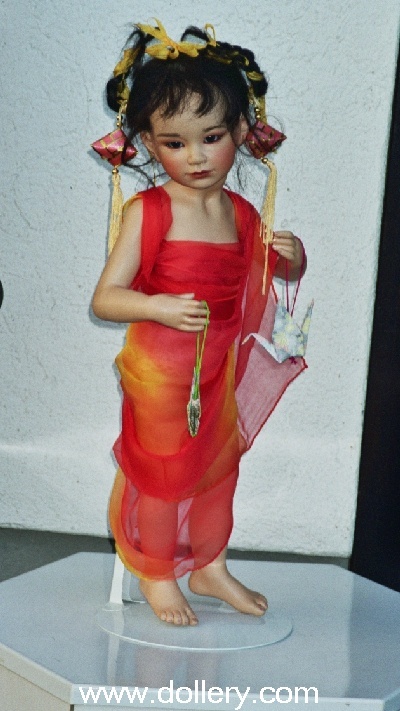 All the sculpting and costuming is done by Maja herself. 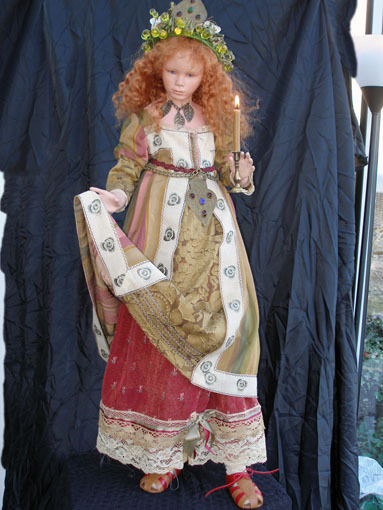 30", one of a kind sculpt and one of a kind outfit made especially for our 25th Show! 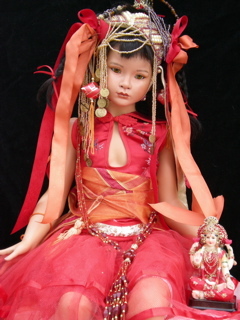 12" Limted Edition of 10 of the sculpt and a limited number in this outfit. 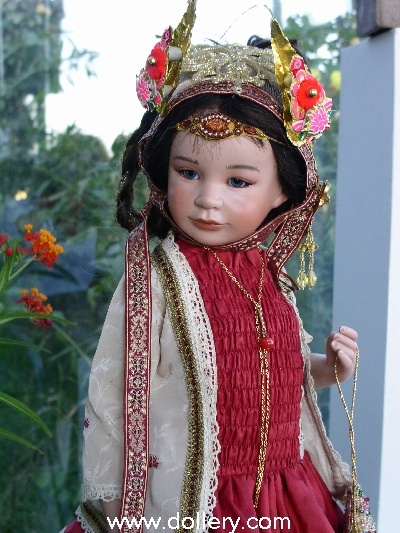 Kaeda in 1/k outfit $2,800 - Available and a great great price! 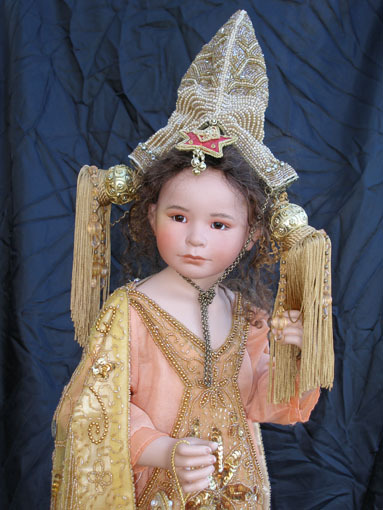 Kaeda in Bronze - One of a kind costuming - SOLD -but the Kaeda sculpt is available in one of a kind costuming. 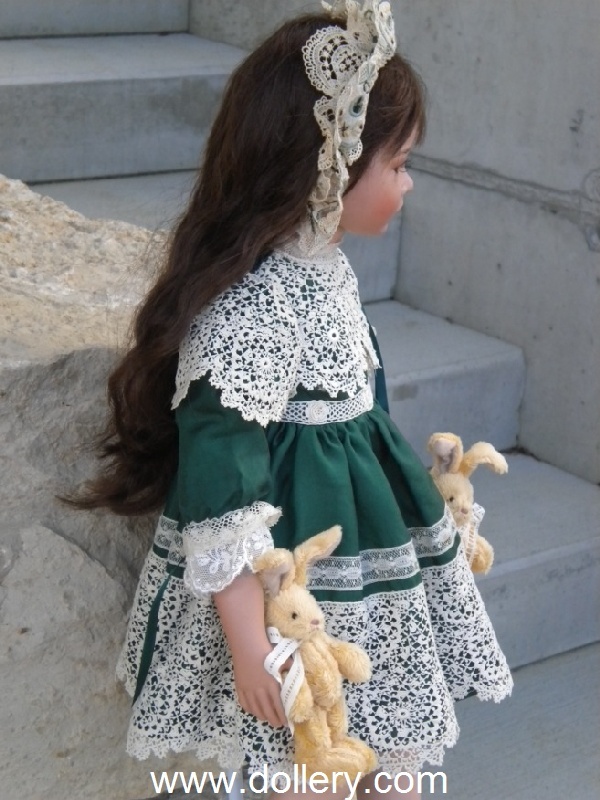 Contact kmalone@dollery.com for further details on requests for specific colors and designs. 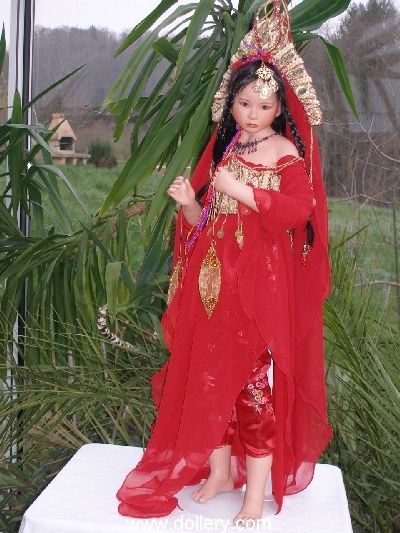 GODELEWA (in Red) - Custom SOLD- but the Godelewa sculpt is available in one of a kind costuming. Contact kmalone@dollery.com for further details on requests for specific colors and designs. 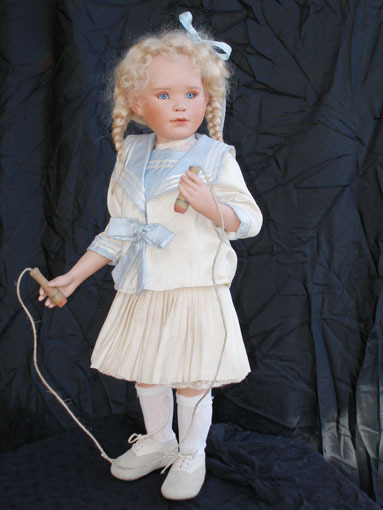 Aurelia - Email kmalone@dollery.com for more details - 85 cm - $4,000.00 - this is a one of a kind which we have SOLD. 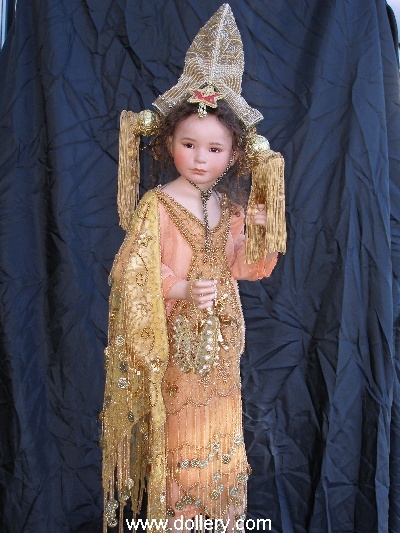 However, we have also requested Maja to do one very similar in sculpt to Aurelia but w/ a much more elaborate beaded gown (similar to Hiroto's) - should be stunning. Can be special ordered against our order. LE/10 of the Sculpt, Limited number in this teal outfit. Brown glass eyes, black hair, 34". Available & In stock. 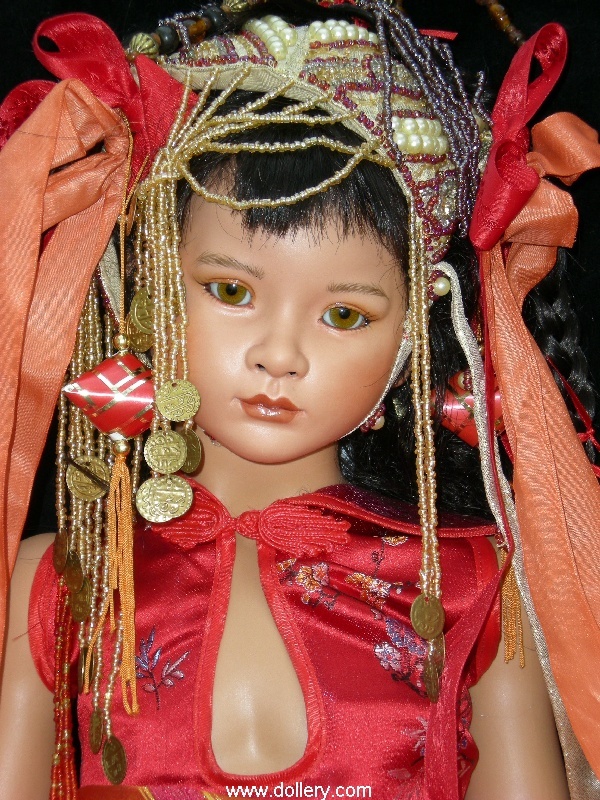 LE/10, limited number in red outfit, brown glass eyes, black hair, 30". LE/10 of the sculpt, limited number in the orange and red outfit. 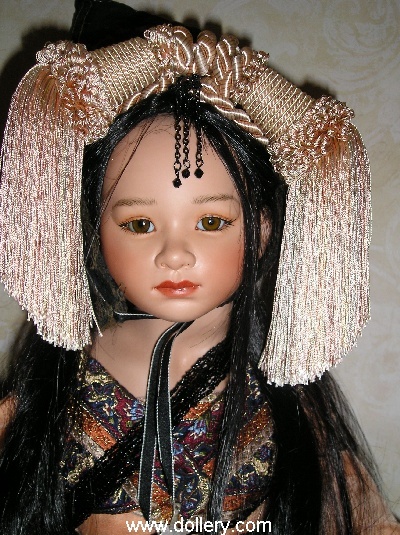 Brown glass eyes, black hair, 19" This one is SOLD but others may be ordered in different costumes in your choice of colors. LE/10 of the sculpt, limited number in the orange and red outfit. 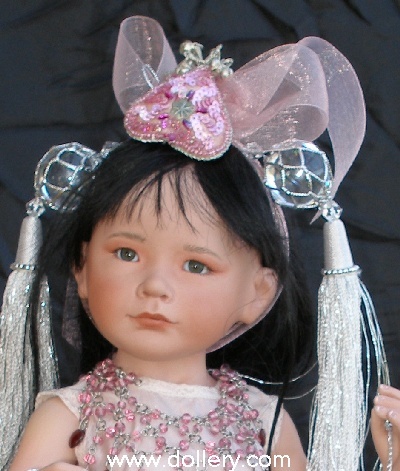 Brown glass eyes, black hair, 19" This one is SOLD but others may be ordered in different costumes in your choice of colors. 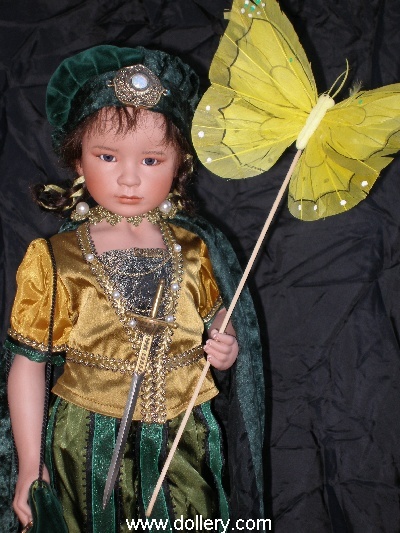 SOLD too but others may be ordered in different costumes in your choice of colors. 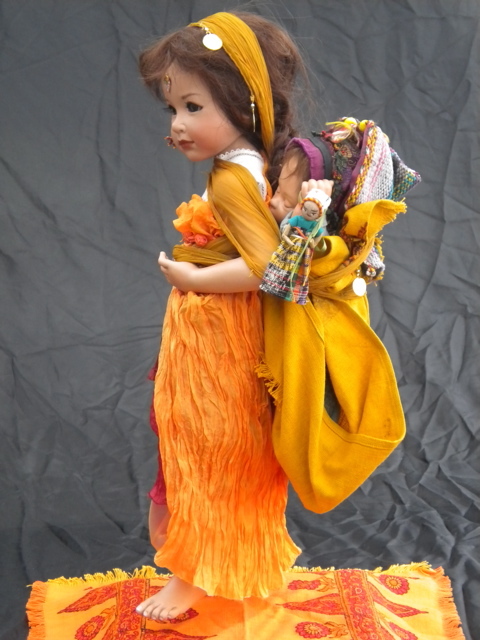 $2,000 Show Price, $1,800, Ltd 10 (sculpt), 16"
Each outfit varies, similar, leather papoose included. 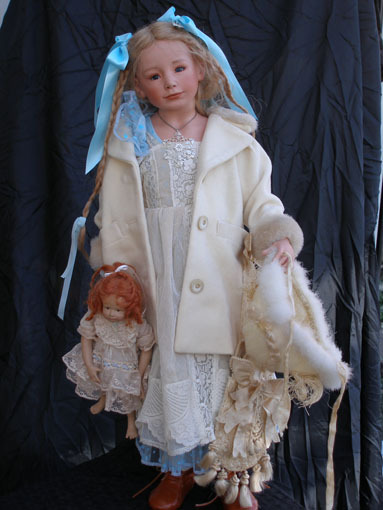 Porcelain with stuffed body & wire armature. Brown glass eyes, Black human hair, approximately 19"
Brown glass eyes, Black human hair, Appprox. 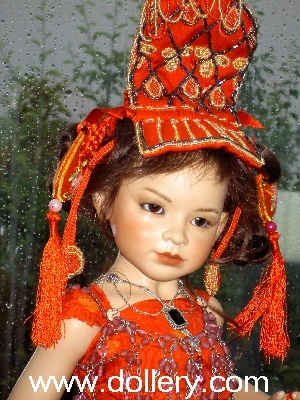 30"
Dechen (below - this one is available, each outfit available with different beading.) In Stock & Ready to Ship! Brown glass eyes, Black human hair, Approx. 30"
$3,600 Show Priced at $3,250 In Stock & Ready to Ship! 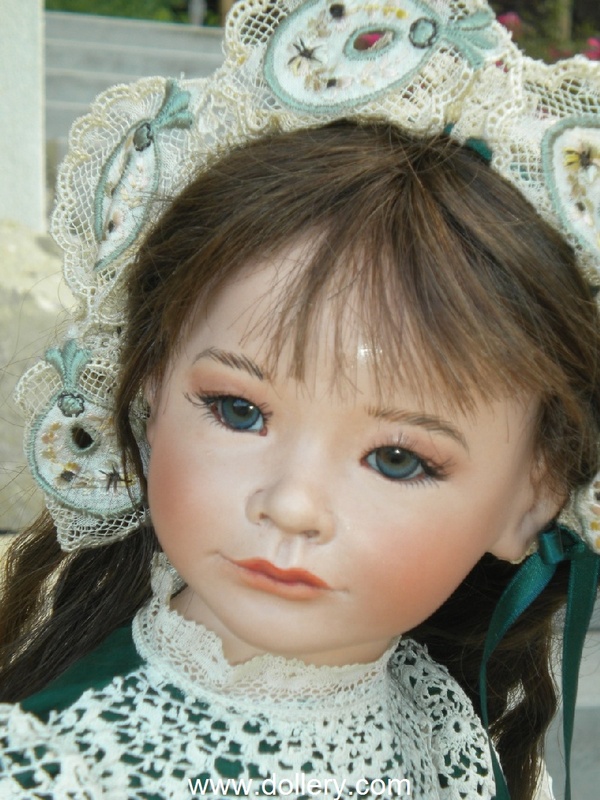 Brown glass eyes, Black human hair, approximately 30"
Outfit made Exclusively for the Dollery! 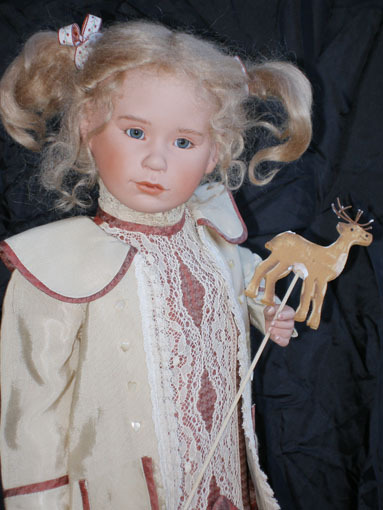 Porcelain with stuffed body & wire armature. Beautiful - One left! 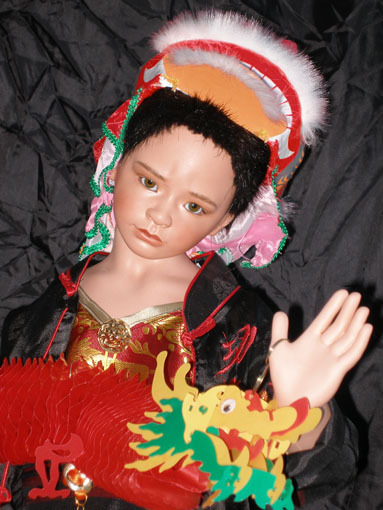 Color varies, brown glass eyes, black human hair, approx. 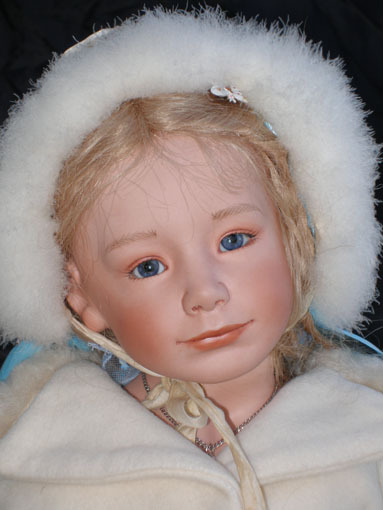 19"
Glass Eyes, Human Hair, 24 inches. 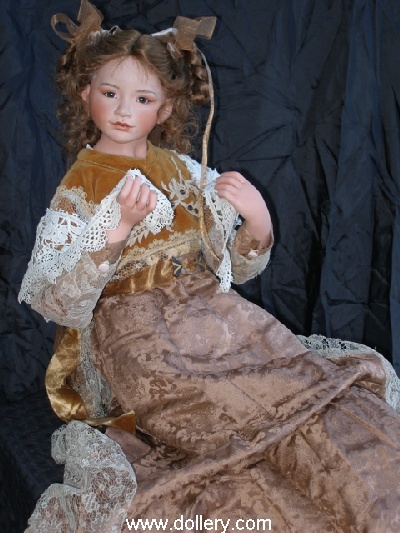 Porcelain with stuffed body and wire armature.